BT is to launch a new service called BT Sport Europe, and is inviting interested viewers to register for more information. The latest developments came on the weekend when ITV and Sky's live coverage of Champions League football came to an end with coverage of the final in Berlin. Within minutes of the final whistle being blown, BT Sport issued a news article reminding fans that BT Sport will be the only place to watch 350 matches across both Champions and Europa League from next season, as a new three year exclusive rights deal begins. 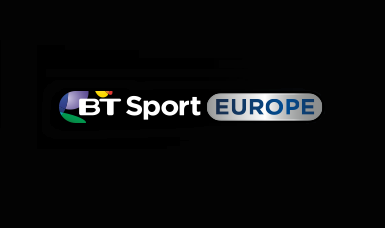 Viewers wanting to know more about BT Sport Europe are invited to register on the BT Sport website. BT Sport Europe's imminent launch comes nearly a year after Sky launched its European football channel Sky Sports 5. With broadband internet now being added to the mix by both BT and Sky, keen to hook subscribers with bundled offers, Sky offered interested viewers 2 years of free broadband with Sky Sports 5 last summer. This means some viewers will still be in contract with Sky when BT Sport Europe launches, so there will be much interest to see how each broadcaster will bundle and price their services this year. Meanwhile BT Sport has been spotted running adverts promoting "BT Sport ESPN" as the new name for ESPN in the UK. BT and ESPN signed a long term deal in January. Back then, BT said: "As part of the new deal, BT Sport has the opportunity to use the ESPN brand in a range of different ways." Programmes to be delivered to BT Sport by ESPN include Verizon IndyCar Series, NCAA College Football and Basketball, X Games and the AFL (Australian Football League). BT is expected to announce full details about its future plans for BT Sport and ESPN in the UK on Tuesday 9th June, amidst a steady flurry of news reports in the newspapers over the past few days speculating on the scope and pricing of BT Sport's football coverage from next season. I think BT/ESPN should be predominantly American sports. The ESPN name has clear American connections, so surely would be perfectly placed for that audience. I like the idea of a European football channel - BT have quite a lot of European leagues along side the UEFA competitions. On BT YouView, 409 BT Preview has EPG details called "This Is BT Sport Europe" from 11:15am. And the on screen name for ESPN is now BT Sport ESPN, but the EPG still calls it ESPN.